Neural network Wolfram works on the basis of periodic re-training of built-in trading systems. At the moment, the adviser has 13 built-in mathematical algorithms that are applied depending on the current market realities. Each transaction of the adviser is individual and has rigid stop-loss and take-profit. To increase positive mathematical expectation, the adviser uses complex closing of open positions for fixing funds on the account. The advisor is fully prepared for automatic trading. 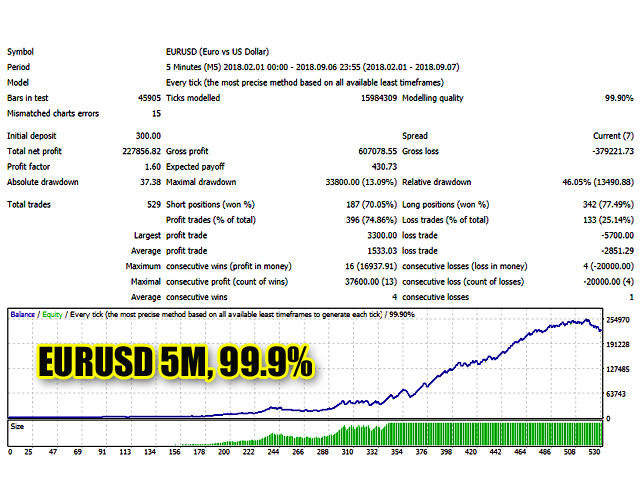 Just put it on the EURUSD 5M chart and it will start working completely off-line. It is recommended that you use a remote server (VPS). 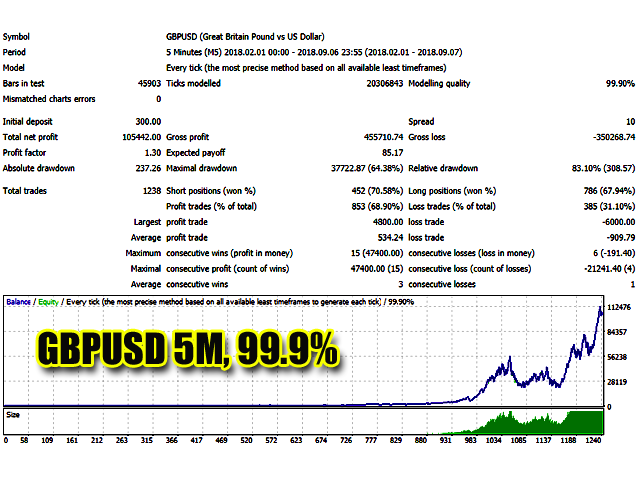 Recommended trading instruments: EURUSD 5M, GBPUSD 5M. Magic number - The magic number for the "difference" of their orders. Before I bought this EA, I made several tests on the demo version and it was supposed to be a huge winner. So I decided to buy it and followed instructions accurately. I now changed it to test the EURUSD pair and my account value continues to go down. Will let you know what happens next, especially if a miracle happens and I can get back my 800$ multiplied in the comming weeks. For the time being I obviously don't recommend it.